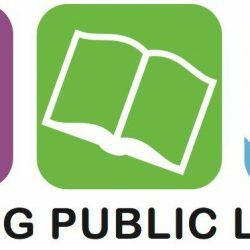 Reading, PA – Reading Public Library will address the opioid crisis with a community event on Monday, September 18 at 10 am. The program, to be presented in panel format, will feature Dr. Rachel Levine, Physician General of the Commonwealth of Pennsylvania. Other panel members include Jim Conrad, First Deputy Chief of Emergency Medical Services, City of Reading, Nathaniel Thomas, Head of Reference Department, Reading Public Library, and Wendy Loranzo, who lost her only child to a heroin overdose. The event will present an opportunity to learn what measures are being taken to combat this health and social emergency, as well as a chance for discussion among public officials and interested private citizens. The public is invited to this free event being held at the main library, 100 S. Fifth Street, Reading. Parking is available at Fourth and Cherry Street Garage. For additional information, please contact the Reading Public Library Reference Department at 610.655.6355 or visit readingpubliclibrary.org.